Restaurants are cropping up in the concrete jungle like swarms of locusts. And all are striving hard to bolster their restaurant sales. It is only natural for them to do so, if not with the intention of garnering a profit, why will one start a restaurant? Hence, don’t you think that you will have to put in that extra pie to make your restaurant above the others in the market? Of course, yes! 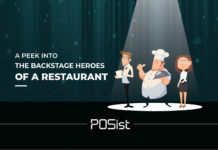 Don’t worry we have come to your rescue and have put forward the various techniques that you can employ to increase the sales in your restaurant. Your existing customers can be your most prominent advocates. Treat them well, and they will, in turn, spread the word about how good your restaurant is. When they visit your restaurant try to recognize them, what they previously ordered, what reviews they gave and how you worked on them. You can use your customer database to get this information. Try and use this valuable data to recommend them new dishes. Such actions will make them feel needed and valued. You can also give them a few offers. 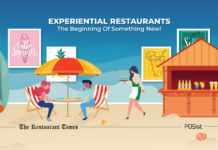 Restaurants create more sales through their regulars as compared to new customers. Hence retention of customers become essential. Your regular customers will also market you through word of mouth and by bringing in friends and family which will help you to increase your restaurant sales. Getting your customers to come back will forever be your most significant achievement! No matter how great business is at your restaurant, chances are you would still like to increase your restaurant sales. One of the easiest ways to do this is through restaurant upselling. Upselling means convincing customers to upgrade their current purchase or buy more items. Restaurant upselling is the most common strategy for restaurants to boost their profits. For you to successfully upsell your menu items, your staff must be very well trained. No upselling technique would work if the wait staff does not develop a rapport with the customers or is not in sync with all the menu items. In addition to this, you can also give free samples of the new items that you have incorporated in your menu. Such activity will make the customers notice these dishes and increase their chances of ordering extra. Know more about various restaurant upselling techniques here. You must have had customers at your restaurant who prefer to dine at their leisure. These customers take longer to leave your restaurant, which, in turn, results in a long queue. 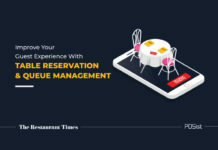 In some cases, you may even end up losing customers as they might plan on going to another restaurant due to no vacancy at your establishment. Hence your initiative to increase restaurant sales is not limited to increasing your customers’ orders, the other way to achieve higher sales is by optimizing your table turnover rate By increasing your table turnover rate we mean increasing the number of customers that you will serve in a day. However, this does not mean that you should rush customers through their experience. You can tackle this by ensuring that the checks are presented and collected promptly, that the tables are bussed and reset as soon as your guests leave, and that you have the right mix of tables for your average dinner party sizes. Nowadays everyone is available on social media platforms, be it Facebook, Instagram, Snapchat or any other. Hence, the best way to increase your restaurant sales is by harnessing this force and making your presence felt on these platforms. 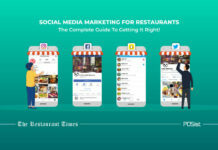 You must create social media pages for your restaurant. However, make sure that you update these pages regularly by uploading pictures and posts about upcoming events that your restaurant will be hosting. You can also use these pages for notifying your customers regarding things like changes in the timings of the restaurant or changes in the menu. Social media is especially beneficial when you have to make announcements regarding special offers or discounts. Imagine, your potential customer visits your social media page to check out the menu items and the pictures, but what they see is that the last post is almost six months old. Will it leave a good impression? Of course, not! Hence, make sure that you reach out to your customers through these pages and even communicate with them on comments. Also, remember that you must never ignore a bad review. Always acknowledge bad reviews and apologize for the inconvenience. 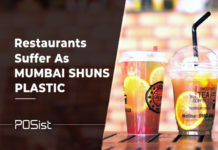 Such actions will not only help in retention of disgruntled customers, but it will also create new ones and will bolster the overall restaurant sales. To learn more about lousy review tackling, read What To Do When Customers Give A Bad Restaurant Review. Offers no doubt one of the best means to attract already existing and new customers to your restaurant. Provide offers on special occasions. This technique is quite frequently used, but it never fails to bring in that extra crowd in your restaurant. 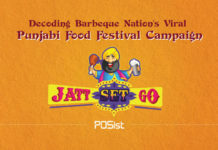 For example, Domino’s came up with a ‘Navaratri Combo’ which offered consumers unique recipes and ingredients widely used during the festival. Such a strategy will under all circumstances increase your restaurant sales during the festive season. During the time of Christmas and the New Years, why don’t you offer complimentary rum cakes, liquor chocolates or donuts to satiate the sweet tooth of your customers? Complimentary items and offers always tend to attract customers. It is a well-known fact that liquor brings in the most number of sales and profit in a restaurant. 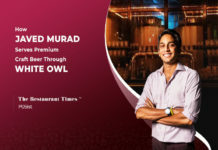 You must also realize that if your targeted clientele is the youngsters, then you must provide liquor at cheaper rates since they are generally not ready to burn a hole in their pocket. Here comes the importance of happy hour strategies. Provide one plus one on beer, or cocktails at half the price. You can also offer a plate of nachos(or any other items) with two beer, and this will also help you in upselling your menu items. The best part about ‘Happy Hours’ is that they are targeted to the time of the day when sales are slow. 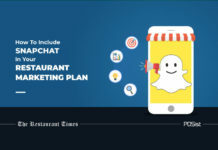 Because of this they draw customers to your restaurant during lean hours and increase restaurant sales. Just remember to market your offers and deals well on all marketing channels. Emails have been known to prove useful in publicising deals and discounts. Many people nowadays prefer to order food home, rather than going out and indulging in a sumptuous meal. Having said so, if you are not venturing into the domain of online ordering, you will be losing out on many potential customers. In addition to this, if you have a space crunch and you cannot dine more than 20 people, or if you do not have enough servers to take care of your orders, does that mean you will not sell your items? Certainly not! Online ordering will automatically help you to keep aside your shortcomings while making sure that your sales increase. Moreover, there are various online delivery channels which will reduce your dependency on in-house delivery boys, thus further cutting down on your expenses. In all, online delivery is an extremely lucrative arena, where all restaurants must venture and see the influx of sales. 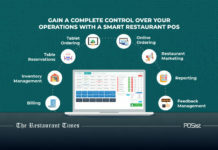 Learn how you can master the online ordering and delivery of your restaurant here. Customers today instead of ordering full meals are increasingly opting for “mini-meals.” Hence, you should also consider providing a higher number of smaller dishes or options to choose from, for your customers. The variations must include items that can be eaten as snacks, or that can be shared amongst a group of friends. 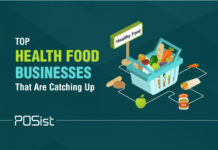 The global market for snacks is expected to exceed US$630 billion by 2020. This report clearly shows how fast the demand for snacks is increasing. Hence, you should bring in more varieties of low-carb, low-calorie, low-fat, low-sugar, gluten-free snacks that will keep your customers hitched. 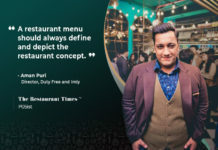 You can organize comedy nights, karaoke nights, guest performance and can host various exciting events that will compel your customers to visit your restaurant on that particular day. Merely hosting will not be enough, you will have to market the event well so that the news of the event reaches maximum people. Hosting events will not just bring in your regulars, but also expose you to many potential customers who will not only increase your restaurant sales for the night but in the longer run as well. Getting featured on Google will increase your reach, merely because it will be easier for your customers to find you on the internet. It will accentuate your customer experience if they see your restaurant on Google from where they can directly call or locate your restaurant on the Google maps. In addition to this, if your restaurant is listed on google, the credibility of your restaurant to the customers is increased tenfold. The menu needs to be priced carefully. While deciding on the menu pricing, you must keep in mind the menu food cost, your location, and your target audience. For example, if your targeted clientele is college students your prices must be relatively low, on the contrary, if you are targeting customers for your fine dining restaurant in a posh locality, then you can keep the prices relatively higher. Read this guide about menu pricing and food costs that would help you design your menu better. Research your surroundings before deciding the menu price. You should keep the surrounding market and competition in consideration while determining the Menu Price. If your competition is serving the same dish with a similar service at a lower price, then your sales are going to see a drop. This is quite evident that if you increase the prices of your menu items, it will automatically increase the net sales of your restaurant. However, you should know how to raise the menu price. Abruptly increasing the price of the menu items will not be taken positively by your customers. Hence, try rising in small installments that will not catch the eyes of the customers, while it will increase the overall sales and profit for your restaurant. Merely setting up your restaurant and expecting to see the influx of customers will be your biggest illusion. You need to market your restaurant well. Both online and offline marketing should be given due importance. 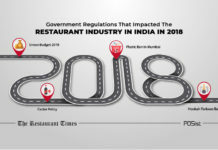 However, merely focusing on online marketing and completely neglecting offline marketing which involves distribution of flyers and pamphlets, can seem to be a significant concern since there are a number of people especially aged people who are not tech-savvy who still prefer to follow hoardings and read newspapers and pamphlets to keep themselves aware of the new restaurants in town. Considering the increasing use of technology, the reach of online marketing has gone ahead to push borders of marketing itself. Make your presence felt on the social media pages, upload pictures, update your pages and website on time so that all your present and potential customers are aware of all the new insertions in the menu, the new events that your restaurant is planning to host and the like. These design tips will help you create a fabulous restaurant website that will bring in more orders. 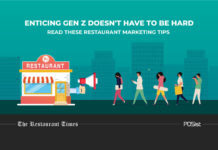 Read this expert guide by industry veterans who reveal the best practices of restaurant marketing that have helped them attract and retain customers. While a restaurant’s product is no doubt an essential factor that attracts and retains customers, it goes without saying that a stellar guest experience will have a lasting impression on your customers. Let your customers feel comfortable and at home, serve them food with care and live up to their expectations. Surprise your customers by giving them a complimentary slice of pizza or a pastry. Provide them with a fantastic guest experience and be sure to see their faces again. Email marketing is also gaining a lot of importance in the recent years. This kind of marketing helps you to nurture a long-term relationship with your customers which will enable you to increase restaurant sales. Since, messages have a word count limitation, which is not present in the email, you can use this marketing strategy to send longer messages. 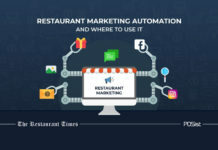 You can send periodical newsletters to all your customers to keep them hitched to all the new happenings at your restaurant. Find out how to do email marketing the right way for your restaurant here. SMS marketing is a definite way to create a short-term relationship with your customers. Since you will already receive all of your customers’ information from your customer database, why don’t you use it to garner more sales at your restaurant? Whenever you are planning to provide offers at your restaurant why don’t you send an SMS to all the customers from your database? These messages generally also contain links to online ordering sites. Hence, they will compel to visit the website mentioned and order, thus increasing your sales. No one can ignore an invitation directly to their inbox! Try these SMS marketing tips to double your restaurant business. 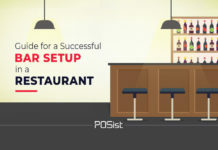 Use a POS that will help you in running your business and augment your restaurant sales. 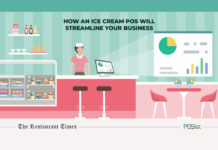 Your POS must be your best friend, providing you with information about everything that happens at your restaurant, whether you are physically present there or not. 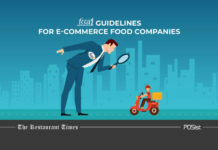 You must receive the detailed reports of the number of sales occurring at your restaurant and across all outlets, the number of bills generated, number of offers and discounts given, the items that have reached their expiry date and needs to be reordered and other such information. Since you will have a detailed report of all your sales including the most selling items and the least wanted ones, you can accordingly consult with your chef, and bring the required changes in your menu. 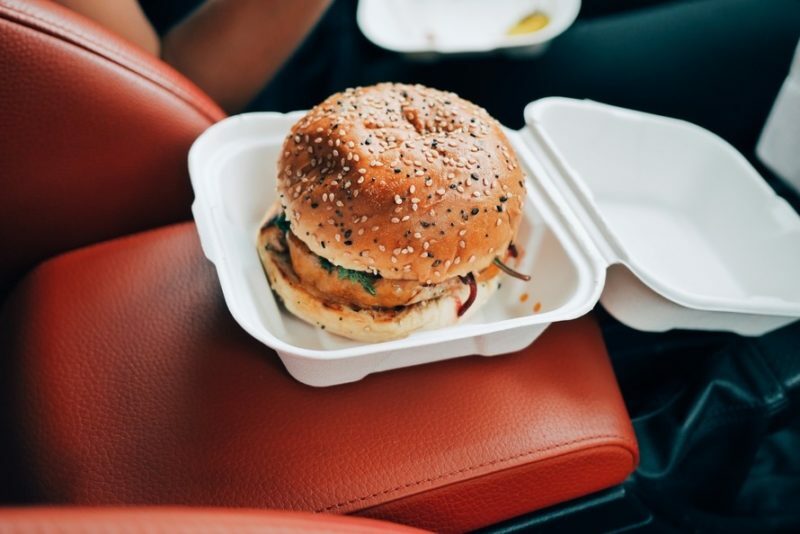 Combo meals are a great way to attract customers, especially those who want to keep it low on their pockets. Try and select your top selling lunch items and pair them with a popular side dish and beverage. If you see in popular chains, they couple burgers with french fries and a cold drink. McDonald is a splendid example of such combos. Keep your combos simple. Having combos will not only help attract customers but is also a great way to club your high profit yet low selling items with the low-profit and top-selling dishes. 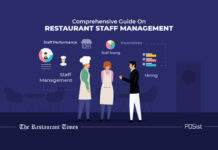 Asking your staff and your employees what they think about the changes that must be brought in the restaurant is the best way you can run your business and increase your restaurant sales. In all probability, your employees will always provide you with an unadulterated opinion. More often than not, their views will be right since it is them who deal with the customers on a daily basis. Considering their view will make your employees feel important which is essential in running a restaurant. You can arrange for an open house session once a month, or call your staff for lunch at your restaurant once a week, to discuss and understand customer behavior. We are expecting to witness greater initiatives in the upcoming year on the part of the restaurant that will augment the restaurant sales. 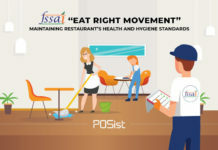 Since making profits is essential for all businesses, it is crucial for restaurants to bolster their restaurant sales apart from honing their restaurant management. We hope that after reading the article, you have garnered enough knowledge on how you can plan to increase your restaurant sales. 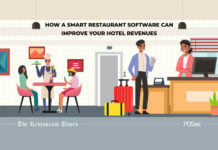 It is a very well written and easy to understand the article, it comprises everything a restaurant owner I would like to add, that happy customers are returning customers. It’s as simple as that. It is easier to retain an existing customer than it is to acquire a new one. So, customer happiness can be a major key to unlocking cost-efficient business growth. With that in mind, let’s look at some ways you can develop methods to communicate with your customers. Good Read. 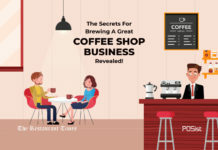 Great strategies to increase sales in restaurant. This is the most comprehensive list I have seen on restaurant sale building ideas. Thanks! 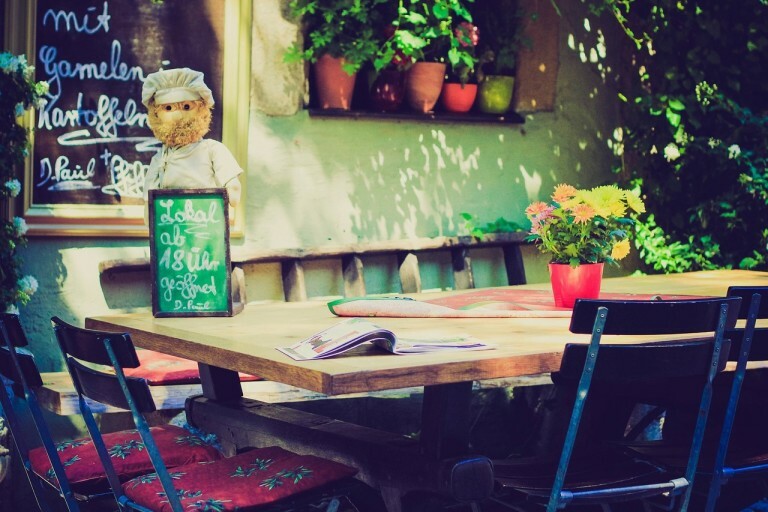 Increasing restaurant sales is not an easy task but this article makes it seem like a breeze. 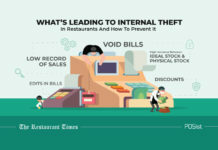 Very informative and will definitely help the restaurants owners up their sales.